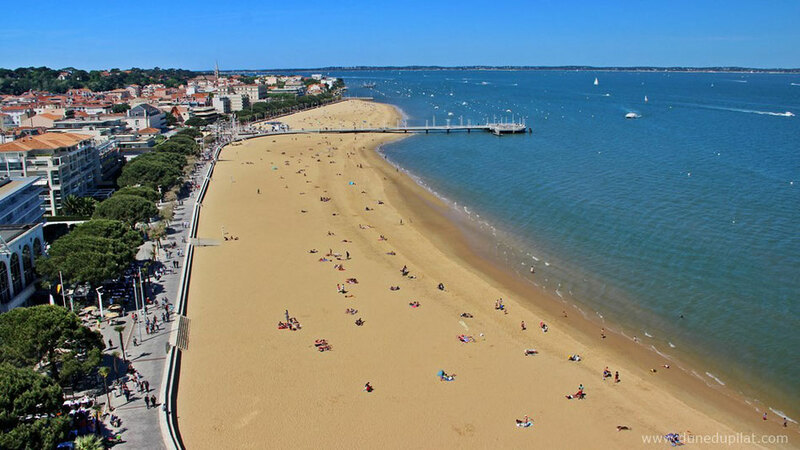 The city of Arcachon has been founded in 1857 and is now one of the most famous and popular seaside resorts on the French Atlantic coast. With its unique location on the bay, the interesting city and the beautiful beach promenade, Arcachon is worth a visit in any case. 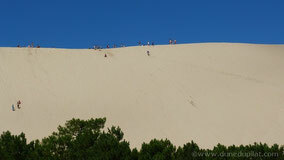 If you plan to climb the Dune du Pilat, why not take a few hours to explore the city that is just a few kilometers away and has direct access to the beach. You might want to taste oysters ("huîtres") for the first time in your life, which are grown in the Arcachon basin and for which the "basin", as the locals simply say, is well known in all of France and beyond. Travelling to Arcachon via the free motorway A660, which then merges into a national road is easy, but in summer there might be a lot of traffic ! 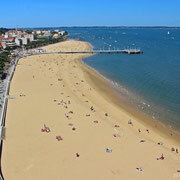 Arcachon is also connected to the French TGV network. 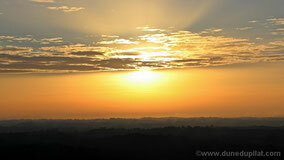 In addition, there are regular connections to Bordeaux Saint-Jean (central station). 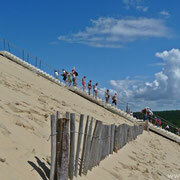 The train station in Arcachon is located in the centre, just a few hundred meters from the beach. Bordeaux Airport is in the western suburb Mérignac. 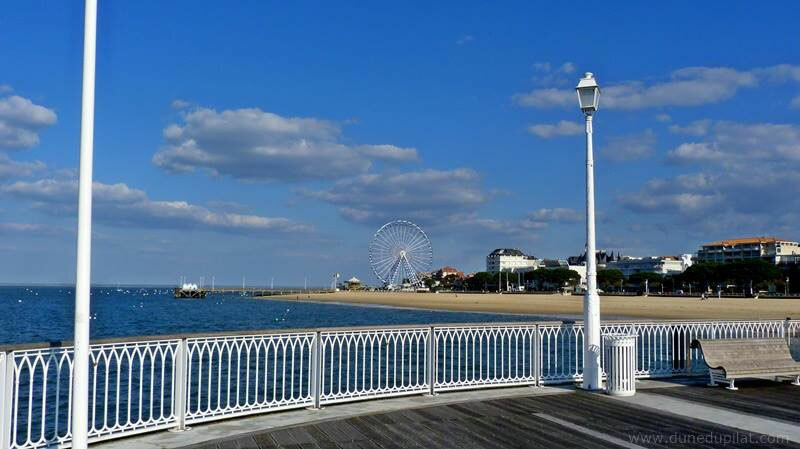 If you want to go from Bordeaux Airport to Arcachon, you'll have to take the shuttle bus to the train station Bordeaux Saint-Jean and from there you will travel by train. 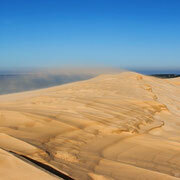 The city of Arcachon is about 10 km from the Dune du Pilat. 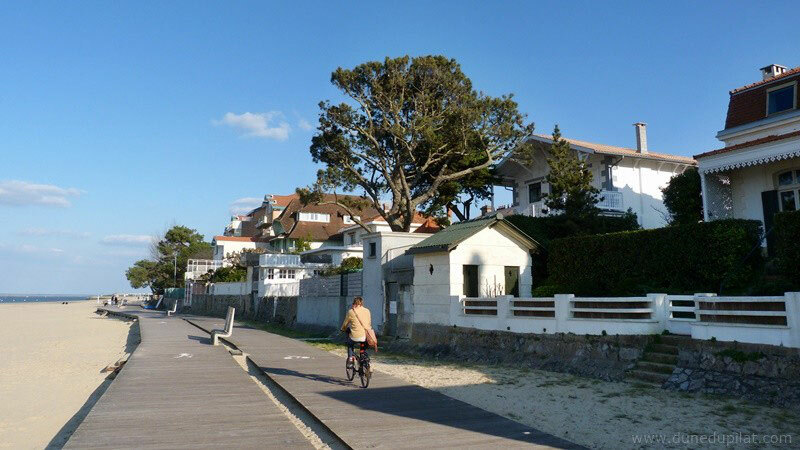 Virtually the entire route passes through the residential area of Pyla-sur-Mer and Arcachon. From the parking lot at the beach ("front de mer") one can look around in the city, which has numerous bars, restaurants and shops of every kind. 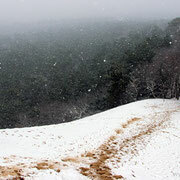 Quite interesting is the division of the city in "season quarters". 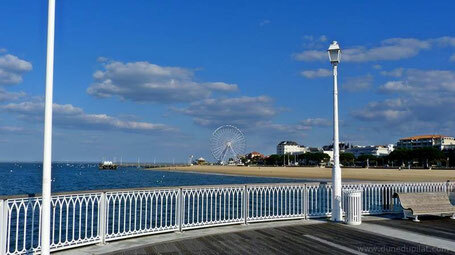 The Ville de printemps (spring town) is located near the beach in direction of the dune, the Ville d'été (summer town) forms "downtown" Arcachon, the Ville d'automne (automn town) is the area around the marina and the fishing port and the Ville d'hiver (winter town) is the area located above the other quarters. Other attractions besides the beach promenade are the pier (Jetée Thiers), the Parc mauresque, the newly designed downtown and several other mansions throughout the city. 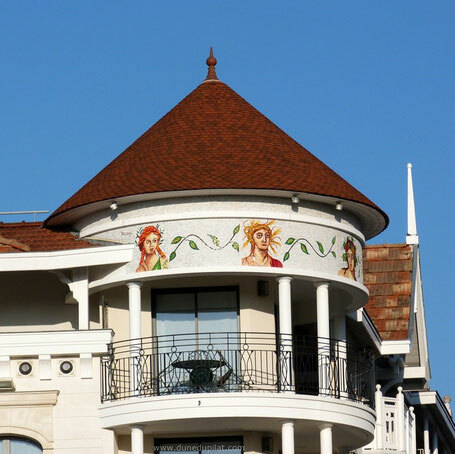 While you are staying in Arcachon, you should take some time to explore the small, but fine city centre with its beautiful villas. The beach promenade, from which you have a magnificent view over the whole Arcachon Bay, invites you to stroll. From the Jetée Thiers you can see the birds' island with its two famous houses on stilts. You can watch these two "cabanes tchanquées" even better during a boat trip around the birds' island, but these trips may seem quite expensive. 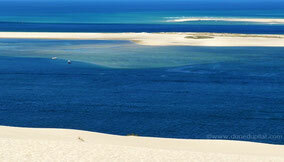 On the promenade and in the town many bars and restaurants invite you to relax and to taste the bay's oysters.